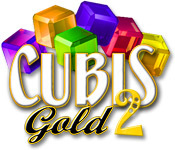 Cubis Gold 2 is rated 4.5 out of 5 by 10. Rated 5 out of 5 by kateblue222 from WHY is this game not out for a MAC! I asked the developers this YEARS ago. And it is still not out for a Mac. COME ON!!! I'd pay 20 bucks for it. More! Or put it out for iPad. Cubis Creatures is out for iPad, but it doesn't give you enough time in the levels, so it's no fun. 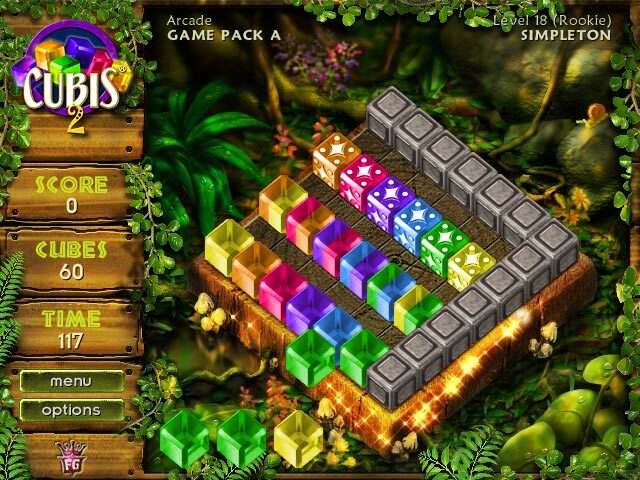 I play the 20 free Cubis Gold online levels here at least a couple of times a week. I want more!! BFG, can you get more for online levels for us Mac users?? Rated 5 out of 5 by ElizabethR1533 from Different Enjoyable from most "Match 3" games, which are mostly all the same, with a slight variance. You throw blocks which eliminate groups of three or more. This game has great graphics, a kind of "3D" effect, (but not the annoying jerky kind of 3D) with nice sounds effects. There are different types of game in one, but they are essentially the same, some more challenging than others. Although there aren't that many levels, once you finish one, you can continue to gain points as the game starts at the beginning level again, and you can try and beat your previous score (and you also get less time). There are also different ones to try. Enjoyable, as it's different to the usual M3 games. Rated 5 out of 5 by kjwheeler from Fantastic! This is an amazing game that uses cubes, whilst you have to move them on the board and create chains that disappear. It's challenging moving through all the levels, and makes you think where to place the next one. A refreshing change to all the other games and completely different to all my other favourites! Only downside is you can't completely rotate the board 360 degrees, it's stuck in one place so you can only select the cubes to go in two sides but otherwise completely amazing! Rated 5 out of 5 by Frodo37 from Addiction! First played this game years ago and wanted a copy because it was just so much fun. So glad I found it on BFG. It's easy to start and learn. Once you get going, you are hooked. There are different ways to play and challenges. Rated 5 out of 5 by bluedancer from match 3 Best match 3 game EVER!!! I am waiting for more.... I have all of them so far. Please Please Please make a sequel !!! Rated 5 out of 5 by MillsFamily from Love it! This game is very addictive. 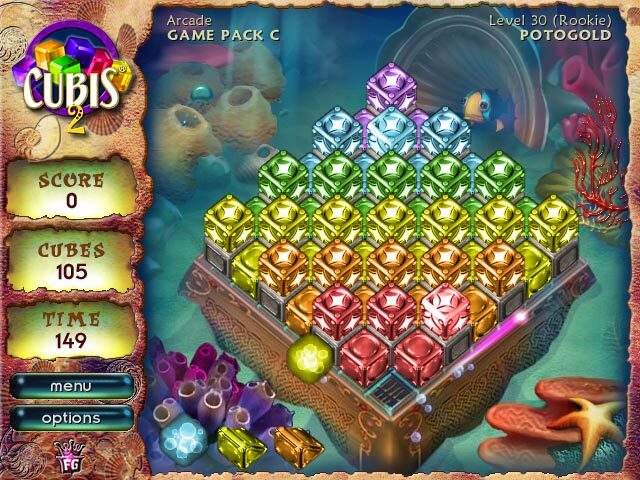 I have owned Cubis Gold and this one adds some elements that make it more challenging. Rated 5 out of 5 by vonstallog from WOW! This 3-match game is really different than the others. Of course, it has a cubed shape involved and uses little cubes to match. The graphics and sound are superb! The levels are so challenging, I can never get through them all. All the years I've played this game, I've yet to get through it completely. It is timed, so you need to be really quick and it does make you think! You can't just drop cubes any place you want or you won't get past that level, there is a great deal of strategy involved with this game. I don't know what it is about this game, but it really is enjoyable to me. However, I cannot play it for too long at one setting due to the complexity of it. I get rather frazzled. LOL! Rated 3 out of 5 by chromyzzle from It's OK. For me,it's a little bit boring...But if you like puzzle games then this game it's a good choice. Rated 2 out of 5 by bessiegirl from Too frustrating Unlike Land of Runes, this board does not rotate and therefore makes it very difficult to really "win" games. Also, this game is timed and does not have a "relaxed" option and if you can't beat the timer or there are no moves left, you have to start the game over from the beginning making the game very frustrating. I realize there are a great deal of positive reviews, but I just cannot agree. Besides all the frustration, it is quite boring. Frustration and boredom do not make a good game in my book. 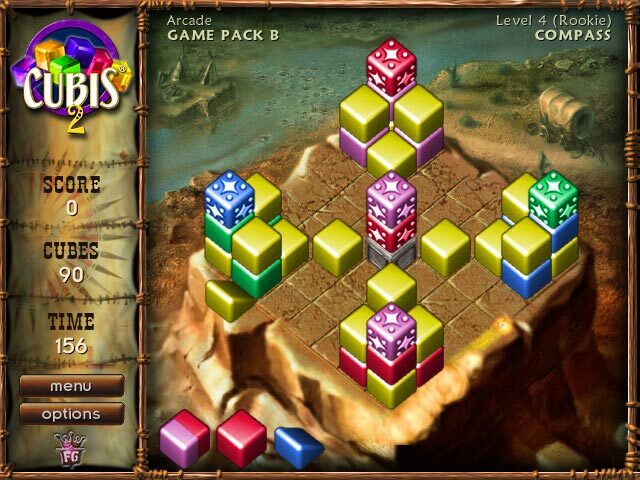 I loved Land of Runes so I thought I give Cubis a try. Too bad they don't make Cubis like Land of Runes.